The popularity of motorcycle riding in Texas prompted the Texas A&M Transportation Institute to conduct research over 5 years (2010-2015) on motorcycle crashes for the state. Compared to non-motorcycle crashes in Texas the crash statistics for motorcycle crashes are grim. The research showed that 28% of motorcycle crashes were fatal or incapacitating compared to 4% of non-motorcycle crashes and 11% of motorcycle crashes result in only property damage compared to 61% of non-motorcycle crashes. May is National Motorcycle Safety Awareness Month. Before we enter the month of May, Amy’s Attic Self Storage would like to provide you with the following “13 Best Practices and Tips for Texas Motorcycle Safety”. Obtain the correct driver’s license, insurance, and registration for a motorcycle. Texas law does not allow officers to pull over motorcyclists for the sole purpose of verifying that they have passed the basic safety course or that they have the necessary medical insurance coverage. However, ensuring you have completed the necessary requirements to legally operate a motorcycle will give you the tools to ride your motorcycle as safely as possible. Driver’s license – Those wishing to legally operate a motorcycle in the state of Texas must obtain a Class M license. The state of Texas requires all those wishing to obtain a Class M to complete a DPS-approved motorcycle safety course which teaches motorcycle basics and how to handle dangerous situations. According to data from Texas Peace Officer crash reports, 41% of fatal operators have no “M” license certification or were unlicensed compared to 31% of those with no injury. To learn more about obtaining a Class M license, click here. Motorcycle registration – Texas requires all registered vehicles to pass an annual inspection to ensure the vehicle complies with the safety standards. This inspection will help ensure you are not riding around on a motorcycle that is not safe. Click here to view the motorcycle safety inspection criteria. Insurance – In order to register your motorcycle in Texas, you must show proof of the minimum liability insurance which includes $30,000 for bodily injury or death for one person, $60,000 for bodily injury or death for two persons, and $25,000 for property damage. Follow the helmet laws – Texas requires motorcycle riders and passenger to wear a helmet that meets the Federal Motor Vehicle Safety Standard #218. Drivers 21 years old and older can be exempt from wearing a helmet if they have passed a DPS-approved Motorcycle Operator Training Course or can show proof of having at least $10,000 in medical insurance. Passengers 21+ can be exempt from wearing a helmet if their driver meets the requirements for the helmet exemption. According to data from Texas Peace Officer crash reports, 52% of the Texas motorcycle riders killed were not wearing a helmet. Passenger age – Texas law requires motorcycle passengers to be at least 5 years old. Correct passenger equipment – Passengers ages 5-21 must wear an approved helmet. Passengers 21+ do not have to wear a helmet if the driver of the bike meets the helmet exemption criteria. In order to legally carry a passenger on a motorcycle in Texas, the bike must be equipped with a permanent designated passenger seat, footrests and handholds. Don’t drive impaired – The legal blood alcohol concentration (BAC) limit to drive in the state of Texas is below 0.08 g/dL. BAC levels at or above the legal limit are considered impaired for driving purposes. According to the 5 year study performed by Texas A&M Transportation Institute, 44% of fatal Texas motorcycle crashes involved an impaired rider. Always drive the speed limit – The study also showed that 30% of fatal Texas motorcycle crashes involved speeding as a contributing factor. Always yield the right of way – For multi-vehicle crashes at an intersection, failure to yield the right of way while turning left contributed to 25% of the crashes. Follow the law for right turns – According to the Texas Department of Public Safety’s Motorcycle Operator’s Manual, Texas law requires that a motorcycle making a right turn be positioned right of the center of the lane as close as practicable to the right-hand curb or edge of the lane. Avoid lane splitting – Lane splitting refers to a motorcyclist riding between two striped lanes and/or when two or more motorcyclists ride side-by-side when sharing a single lane. Texas Transportation Code Section 545.060 states that lane splitting is illegal. When two or more motorcyclists share a single lane they should ride in a staggered formation to give each rider enough space to maneuver their bike. Helmets – Choose a helmet that meets the Federal Motor Vehicle Safety Standard #218. The helmet should fit snugly, but comfortably to keep from moving around while riding. The helmet should remain securely fastened while riding and be free from defects, such as, cracks, dents, loose padding, frayed straps, etc. Eye protection – Goggles or eyeglasses will protect eyes from wind and debris allowing riders to see clearly while operating their bike. Goggles or eyeglasses should be shatterproof, clean and optically clear, securely fastened, and leave peripheral vision open. Face protection – To avoid injury from debris while riding a motorcycle, riders should use a face shield. The face shield should be strong enough to block flying objects, free of scratches and optically clear, and securely fastened to the helmet. Clothing – Clothing should be appropriate for the climate and comfortable while providing the rider with the most protection possible. Shoes – Boots or shoes should be sturdy with a low heal, have a good gripping sole that is slip resistant, and have no dangling laces or pieces that could get caught while riding. Pants – Long pants or jeans that fit comfortably (not too tight or too loose) will provide protection from the weather and injury. Shirts – Brightly colored comfortably fitting (not too tight or loose) long-sleeved shirts provide protection from the weather and injury and allow the rider to be more visible to other motorists. Gloves – Gloves made of a durable material like leather can protect the rider from the weather, debris and damage in the instance of a crash, as well as, provide better grip. Jacket – A water-proof jacket made of a durable material can protect against the elements, as well as, injury in the event of a crash. Whether it be due to large wildlife, lack of adequate lighting, or lack of present law enforcement, rural areas pose huge dangers for motorcycle riders. According to the CDC, roughly half of all motorcycle crashes takes place in rural areas. The research done by Texas A&M Transportation Institute cites that 35% of animal-involved Texas motorcycle crashes in rural area were fatal or incapacitating. Make sure you are posited in your seat as comfortably as possible and far enough forward where you can hold the handgrips with arms slightly bent. Make sure your handlebars are adjusted so that your hands are even with or below your elbows for better steering. Keep knees against the gas tank for better balance. Feet should be firmly on footrests near the controls with your toes pointing straight or upward to avoid being caught on the road. Ride with head light and wear you are most likely to be seen by the vehicles around you, avoiding other’s blind spots. Motorcycles need as much distance as cars to stop. Always maintain a distance of a minimum of two seconds behind the vehicle ahead of you. This precaution will provide you with a clear view of the traffic around you and allow you the space and time to respond to dangerous situations. Always use proper signals when turning or passing to help avoid a crash due to a misunderstanding. Remain a visible distance from other vehicles, signal your desire to change lanes, check mirrors and turn your head to look for traffic, and when safely able to do so change lanes, riding through blind spots as quickly and safely as possible. To ensure a safe ride the next time and before storing your motorcycle in a storage unit, it’s advisable to quickly check for any object(s) which may have embedded in a spoke during your last ride. Amy’s Attic Self Storage is among the most highly rated self-storage companies in central Texas. 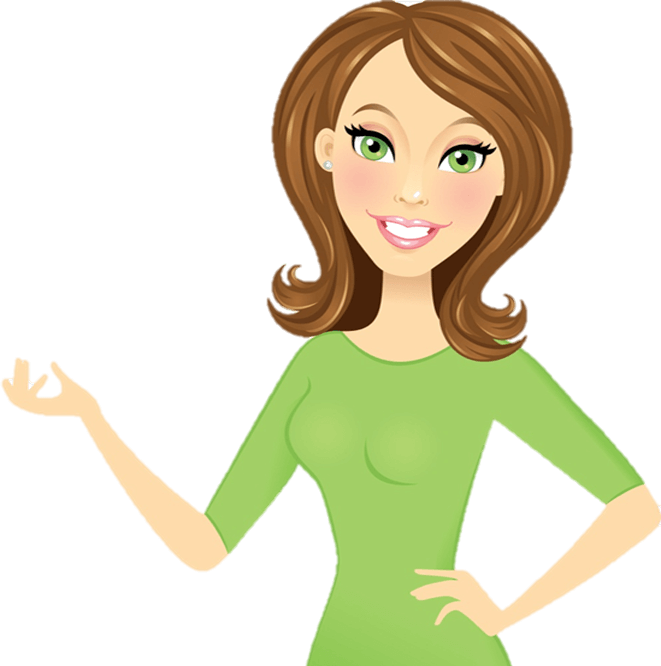 Amy’s Attic is well known for their superior customer service from a friendly and knowledgeable staff. Amy’s Attic has a variety of unit sizes and types (climate-controlled, alarmed, etc.) including vehicle storage options. 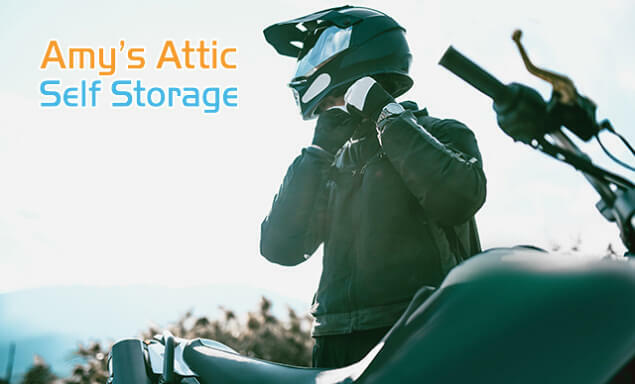 With seven convenient locations located near major roads and highways, Amy’s Attic is sure to meet all of your motorcycle storage needs. Don’t hesitate to contact and Amy’s Attic location near you for more information! For information on Motorcycle Storage Best Practices, click here.